The windows are 15th Century,, and the South Doorway, 16th Century. 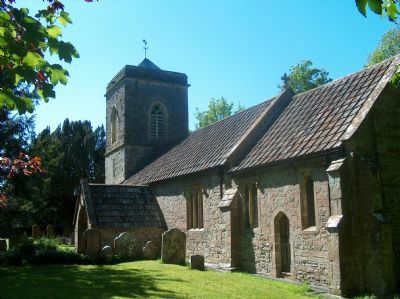 The church was restored about 1860, when the upper stage of the tower and chancel were rebuilt, and the vestry added. Furnishings: The font (the only remains of an earlier church) is Norman with 3 scallops on the underside. The wooden pulpit is an interesting example of Jacobean craftsmanship, and is similar to that at Weare, which is dated 1617.